Espresso pod is a small pre-measured packages of ground coffee that you can use with espresso makers designed specifically to make a good cup of espresso without the fuss. However, since there are quite a number of kinds of pods, it is important to know the differences between them. E.S.E. 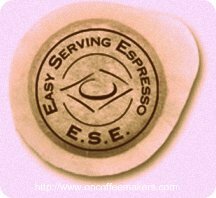 (Easy Serving Espresso) Pods are the most common form of espresso pod, which are used by a wide variety of home espresso machines, all of which bear the E.S.E. seal. 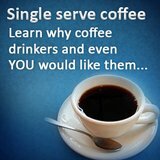 Although a lot of home espresso machines can make use of E.S.E. 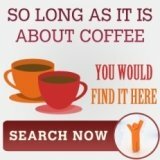 espresso pods, it is better to use espresso makers that are designed to make use of E.S.E. pods exclusively for best results. Although they all look similar, E.S.E. pods cannot be used with Senseo and Melitta One machines since they will not fit inside the pod holders of these particular espresso machines. Senseo and Melitta One single serve espresso machines are designed to make use of Senseo and Melitta pods respectively, which are larger in diameter compared to E.S.E. pods. On a related note, other single serve espresso machines such as the Tassimo and Nespresso machines also cannot make use of E.S.E. pods, since they are also designed to make use of T-Discs, which are another form of small packs of pre-measured coffee grounds. They make the task of preparing espresso very easy, compared to the traditional way that requires some barista skills that is developed through practice and experience. Anyone, even those who do not have any experience with making espresso using the traditional method can make a good cup of espresso by simply using these pods. To make espresso, just simply insert the pod into the pod holder of the espresso machine, and activate it. The tasks of measuring, grinding, tamping, and dosing are no longer required. Furthermore, cleaning after making a cup of espresso is quite simple when using a pod. It just simply entails removing and disposing of the used espresso pod from the machine. Although making espresso is very easy when using these coffee pods, the very best tasting espresso can only be made by the hands of a very skilled barista and only through the traditional method of preparation. 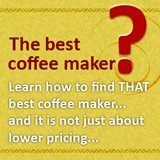 The best tasting espresso can only be made through the use of fresh coffee beans, the proper grinding, tamping, and dosing techniques, and a high quality espresso machine. 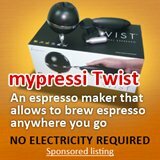 Nevertheless, an espresso pod gives a good cup of espresso without any fuss, which makes it a highly-accessible drink and can be made even by both espresso enthusiasts and novices alike.